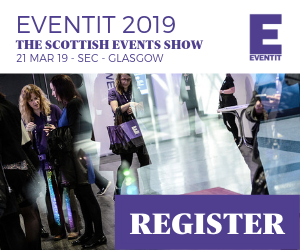 EventIt, the annual Scottish events industry show for business events, meetings, incentives, hospitality and festival industry professionals in Scotland, has confirmed its partnership with leading event tech provider Expoplatform. 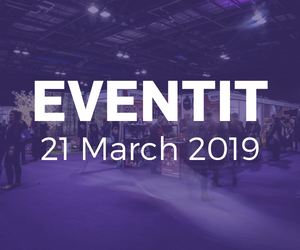 Taking place on 21st March at the SEC, Glasgow, EventIt, which is now in its fourth year, welcomes over 800 qualified buyers from across the UK and offers events professionals from the festival and business events supply chain the opportunity to network, meet suppliers and learn from industry experts. Judith Wilson, Events Director, EventIt says: “Our aim for EventIt 2019 is to inform, wow and inspire Scotland’s event organising community. The partnership with Expoplatform allows us to bring our exhibitors and visitors closer together, matching attendees’ challenges with solution providers taking part in the show.